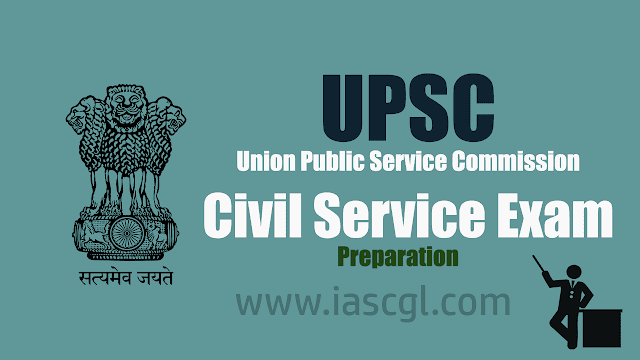 IAS aspirants often go through interviews and articles of various toppers about their strategies for the UPSC Civil Services Exam but the mantra of the exam is to always build your own strategy. To take the best out of everything available around you is the first key ingredient of success. In the course of preparation, I approached different places/institutes for just getting what I feel best in them. So, from now onwards, look everything from your perspective, even this article also and evaluate whether it is right or not for yourself and build your own strategy. Further, always believe that hard work is the ultimate key for success. This is the only thing we can bank upon throughout the journey of preparation. I have lived this journey through sheer hard work in different phases, even at times when I was engulfed with the negative feeling that whether, I will ever be able to clear this examination or not. Always be calm, be persistent in your goal and always remember and believe in the reasons why you want to be a Civil Servant in your tough phases. This approach will not only help you in crossing the barriers but also in coming out with flying colors. And, the last but not the least ingredient is Self-Belief. Whenever you feel low, talk to your parents, mentors and well-wishers, try to get positive vibes from them. In the course of preparation we, many times, have self-doubt but that is normal. Try to get motivation from wherever you can. I understand our core aim is to clear the examination and it should be that way. But live this journey from the perspective of becoming a better human being and transforming oneself into a Change Agent. Have the self-belief that you will not only crack this examination but be the change that we all aspire in the society! Don't change your own strategy: In the last 1 month before the exam try to restrict yourself to the resources and follow the simple mantra "Revise Revise and Revise"
Previous year UPSC Papers: This is the only thing that I would suggest if any of the aspirants haven't solved them yet, do it . It will not only help you in understanding areas on which one needs to focus more in last one month but also it will improve elimination as well as help you in time management in the examination hall. Time Management in last one month: Prelims examination is on 3rd of June. Just try to make schedule for rest of the days. It will help you in two ways, firstly you will remain calm and confident that everything will be covered before you go into actual exam and secondly it increases your efficiency on daily basis. This is something that I realized, after doing mistakes and correcting it in my journey but follow it only if you feel it is right for you based upon your own strength and weakness. Health : Just take care of your health in last one month as it's the most crucial time and you may save 10-20 minutes or an hour at max by neglecting diet or exercise but if God forbid one gets sick, it can take away 3-4 days straight. During Examination: When you enter the examination hall, just say to yourself you are the best, I will definitely clear this. Believe me it works; it gives a sense of confidence and reduces performance pressure. Further, fill all your particulars with extra caution. It might happen you might mark one or two questions wrong mistakenly even after knowing it (It happened with me twice). Don't panic and just try to focus on rest of the questions. Don't let one mistake spoil your entire paper. BaChPaN + MBA-To remember length of boundary India shares in decreasing order-Bangladesh, China, Pakistan, Nepal, Myanmar, Bhutan, Afghanistan. MBBS PAIN: Trick to Remember SAARC Countries- Maldives Bangladesh Bhutan Sri Lanka Pakistan Afghanistan India Nepal It works. It will really help you while preparing and remembering important facts. Rest I believe, everyone is working hard to crack this examination, might have planned out how to go about prelims this year. Making best out of various Resources: Again, I would like to highlight just try to find out best from different resources and stick to it. I took help of NCERT for revision sticky notes on important pages. Sticking to the resources: While one is preparing for prelims, try to study in a holistic manner along with Mains preparation at least till 4 months before actual prelims examination. Try to go through all the NCERTs once for each subject along with one Standard book whichever you feel comfortable with. Moreover, don't get distracted with the amount of resources you will be flooded with on the internet and in the market. One may feel, that he/she will get extra things or can learn more by reading more, but in the end you have to remember that one should have atleast 2-3 revisions. Try to have concise notes on each topic even if you read from different resources by compiling best out of different resources at one place, so that you can revise twice or thrice before examination. Short Notes: Try to make short notes and Mnemonics on different topics, it would really help you in revising at last moment in a swift manner. Just try to build concise things so that you can revise in a swift manner. Importance of Test Series and Peer group: Further, try to build a good peer group, which can motivate you all throughout preparation. Peer group helps not only in making one efficient with competitive feeling but one can also get benefitted in understanding areas he/she is not comfortable. My peer group has helped a lot and in many instances when I was not good at certain topics. There will be many ups and downs, it is important to maintain continuity. For this, one can follow any one good test series. It can help in two ways , firstly scheduling as well as maintaining tempo of preparation all throughout. When you feel comfortable overall across the subjects, do solve previous 10 years prelims paper. Time Management: This is one of the key areas. Here I would say, try to have a target plan for next 3-4 months and then divide it into monthly and weekly plans. Further based upon your schedule, divide it into daily targets. Let's say, one is working, he/she can put more things on weekends or on holidays and light on working days. I have already written about last 15 days strategy which I feel is one of the most crucial phases in prelims examination. I wish you all the best for all your endeavors!